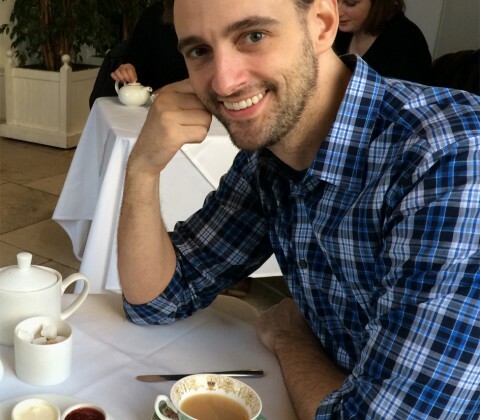 ‘Cooking for Geeks’ author Jeff Potter explains the scientific secrets to making the perfect dehydrated food. The following is an excerpt from Cooking for Geeks, by Jeff Potter. You might not think of drying as a separation, but it is: water is separated via evaporation or sublimation when foods are dehydrated. Natural air drying of foods is perhaps the oldest preservation method, and it’s a simple method for transforming foods into shelf-stable versions that won’t spoil or go moldy. Even with modern refrigeration, we still dry foods this way for desirable changes to their texture, creating firm dried fruits, chewy beef jerky, and crispy kale chips. If you’re lucky enough to live in a warm, arid region, any place where the summertime sunshine pushes the needle above 85°F / 30°C and keeps the humidity well below 60% (ah, California), drying fruit is an easy task. Pick fully ripened fruits, wash and clean them, cut stone fruits in half (removing any pit) and other fruits in slices (peppers and tomatoes, both biologically fruits! ), and soak them for 10–15 minutes in lemon juice (or a ~4% solution of vitamin C). Pat the fruits dry, lay them out on a sheet of cheesecloth on top of an oven rack, and dry them during the day for a week or so (bring them indoors at night). If you think your fruit has any insects or insect eggs, freeze the dried fruit (below 0°F / –18°C) for two days or cook it at 160°F / 70°C for half an hour. Food dehydrators can be put to other uses as well. Beef jerky, made the old-fashioned way, can spoil or have food safety issues when dried too slowly. A dehydrator fixes that. You can make other jerkies, too: salmon, deboned and sliced 1⁄4” / 1⁄2 cm thick and dried for 3–6 hours turns out delicious. Or make your own fruit leathers (thin sheets of chewy dried fruit): purée fruit mixed with a teaspoon of lemon juice per cup of fruit and optionally add sugar to taste, smear the purée on a silicone sheet, and dry it. DIY Fruit Roll-Ups! 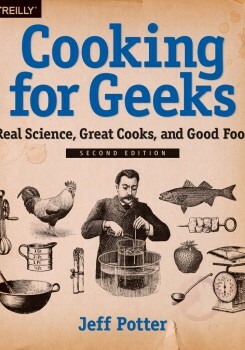 Excerpted from Cooking for Geeks, by Jeff Potter, published by O’Reilly Media. Copyright © 2010, 2016 Atof, Inc.